... and that includes your equestrian business! 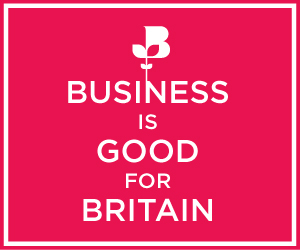 The British Chambers of Commerce (BCC) is a dynamic, high-profile and independent business network, with chambers across the UK. Local chambers sit at the heart of the community, working with businesses of all sizes, and representing all sectors, so that definetly includes your equestrain / equine business. Their mission is to make the chamber network an essential part of growing business; they do this by sharing opportunities, knowledge and expertise. You can access a range of services, networking and support from The Chambers of Commerce to help day to day business. As a member of an accredited chamber of commerce* you can gain access to a number of additional services. The British Chambers of Commerce has negotiated exclusive services with leading organisations to bring you support services and help save you money. Safeguard your business against the unexpected costs of professional legal services and get legal cover of up to £670,000 as well as access to a 24/7 helpline. Find out more here. Process debit and credit card payments with discounted transaction fees, reduced terminal hire costs and no service fees. For more information about Chamber Merchant Services download the attached flyer. Receive up to 61% on the cost of breakdown cover (for members of participating accredited Chambers only). Find out more in the attached flyer. In partnership with RBS / NatWest we are able to offer 3 years free business banking for start ups, one year free business banking for those that switch accounts, discounted rates with RBS Invoice Finance, access to a dedicated Chamber Finance support helpline and international trade services. For more information contact the Chamber Finance Hotline on 0800 656 9634. The Chamber Business Choice Healthcare scheme offers private medical insurance for your employees. Get 10% cashback annually or 50% off your chamber membership fees for 3 years. Click here to find out more. Pay as little as £1.10 per employee per week with the cash plan scheme Chamber Primary Health Plan. Find out more here.